Hello everyone. 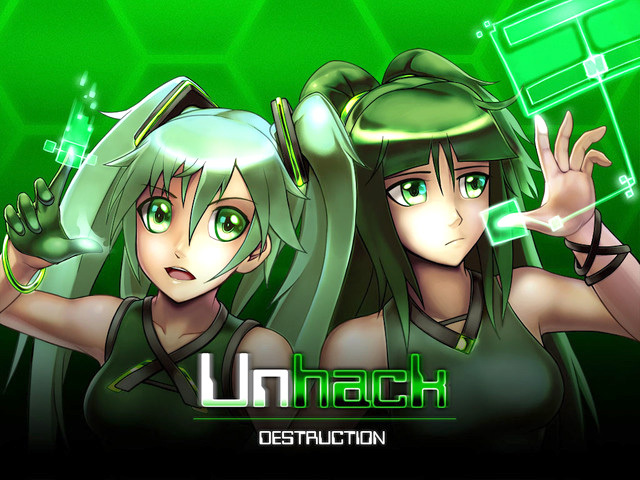 Unhack has just been released on Steam! The above link is a possibility because of your voting and support. Thank you so much everyone m(_ _)m.
For those who already own a copy of Unhack through bundles, etc, it might be good to hold off on purchasing the game for now, because I will be looking through the list and sending keys to as many people as possible. If you have played the game before, please consider dropping a review. It would help me out a lot. Thank you so much, all of you (^-^)! I really hope you will enjoy the succinct experience. Hopefully you could consider spreading the word as well. Thank you for your support as always m(_ _)m.
Unhack is an action puzzle x visual novel title featuring a story about greed and self acceptance. The 5K Worm is corrupting the digital world. Battle the virus and discover who is behind these crimes. Meet ally and enemy AI throughout this ten episode journey. - Traverse a hazard filled maze in each episode. - Battle enemy AI as tension heightens. - A story that is revealed in Japanese visual novel format. - Improve performance (will happen just because the executable runs locally). - A hard mode that offers additional rewards. - The original soundtrack alongside several audio dramas. I hope to build fluff free, story focused titles. As Unhack is a short game, I would like to release it for only a few dollars. I will continue to post updates here. Please consider contributing if you decide the project is worthwhile. Thank you m(_ _)m! Thank you for the art! I think it looks awesome . Thanks kmyc89! I am glad you enjoyed it . Got as gift from a Buddy. 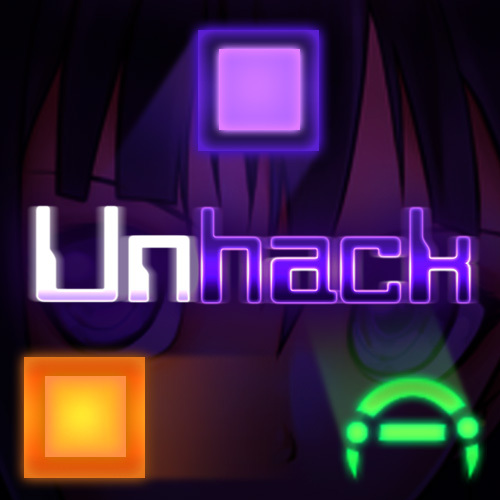 Unhack has been Greenlit and is now listed in the Steam store. For the latest information, purchase options, and discussions for Unhack, please see it on the Steam Store or in the Steam Community.